John van den Brom claims that he is extremely happy with life at AZ Alkmaar and even wants to renew his contract with the club. 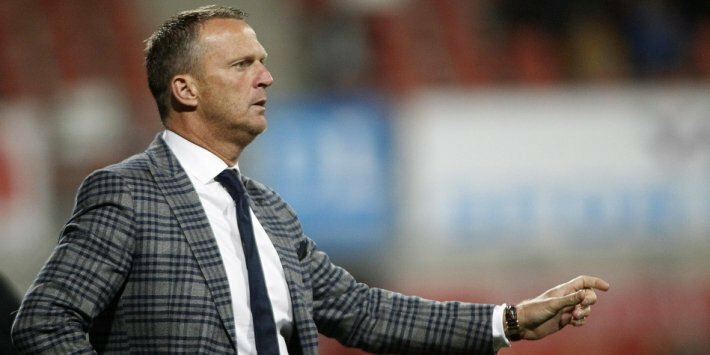 The 51-year-old was appointed as the AZ Alkmaar manager back in 2014. His previous experience in Dutch football was with the likes of SBV Vitesse. However, he came to prominence during his time at Belgian outfit Anderlecht. Since coming to AZ Alkmaar three years ago, he has been able to claim no successes with the team. As a player, he managed to win the likes of the Dutch Eredivisie and the Champions League with Ajax. Now, there are rumours that Ajax may be in for the 51-year-old after having recently sacked their manager Keizer. Ajax have so far done reasonably well in terms of the league form, but cup competitions have seen the worst from the club. After failures in the Champions League and Europa League, Ajax decided to act on their manager and bring in an interim boss before a permanent solution was found. However, this permanent solution may not come in the form of van den Brom, as he is no longer in with a view to join Ajax. In fact, van den Brom appears to be extremely happy at AZ Alkmaar and would even extend his contract with the club. Van den Brom has a contract with AZ Alkmaar until June 2018. Over the last couple of seasons, the club have had improvements under the manager and were able to finish in the third spot during the 2014-15 campaign. However, last season produced the worst performance from the club under the 51-year-old, as AZ Alkmaar finished in the sixth place. This was the lowest finish for the club in van den Brom’s time at the club. “I feel happy at the club,” said the manager. This entry was posted in AZ Soccer and tagged AZ Alkmaar, John van den Brom by index. Bookmark the permalink.